Bose S1 Pro Multi-Position All-In-One BlueTooth PA System & Battery Operated, 3-channel All-in-one PA System with ToneMatch, Bluetooth Streaming, and Optional Li-ion Battery (Sold Separately) Sound great anywhere with the ultra-portable Bose® S1 Pro system. Designed for musicians, DJs, and general PA use, the S1 Pro is the ultimate all-in-one PA, … you can sound like a Pro anywhere with the S1 Pro system. Includes Rechargeable battery. The ultimate all-in-one system that’s ready to perform anywhere, anytime. Sound like a pro. Anywhere with the new Bose® S1 Pro Multi-Position PA system also called the Bose® S1 Pro PA system, also named S1 Pro system as well as S1 Pro. Bose® S1 Pro Multi-Position PA System The system features multiple positions that are design ed to ensure that you always sound your best. 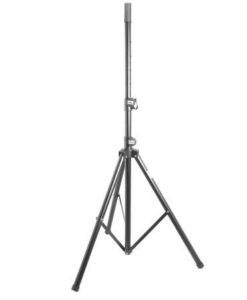 So, whether you place the S1 Pro on the floor, on a table, or even mounted on a speaker stand, the system’s coverage matches your specific playing application. Additionally, Auto EQ maintains optimum sound in any orientation. The S1 Pro comes with a full-featured, 3-channel mixer with reverb, tone controls, and line-outs for connecting to other systems. Play music from your mobile device easily using Bluetooth® streaming and get great sound quickly using integrated ToneMatch® processing for microphones and acoustic guitars. Finally, a small system that delivers on the combination of performance, portability and versatility. 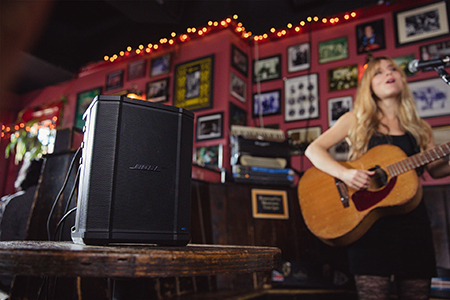 The Bose S1 Pro system: a true companion for nearly any event, ready to perform when ever and wherever you need it. Jirehsupplies / Jireh Music and More retail store is an Authorized Bose Dealer. Lightweight & Portable: Weighing about 15 lbs (6.8kg), the rugged S1 Pro is designed to transport effortlessly from the car to the event. Versatility meets Simplicity: The S1 Pro comes with a full-featured, 3-channel mixer with reverb and Bluetooth® streaming. Sound great quickly with ToneMatch® processing for microphones and acoustic guitars, while playing music wirelessly using your mobile device. Perform nearly anywhere with the optional rechargeable lithium-ion battery for the ultimate portability. 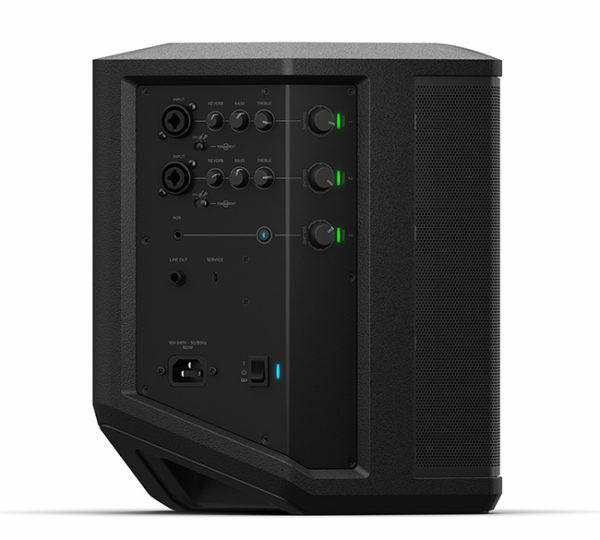 Impressive size-to-performance ratio: The S1 Pro delivers high-output in a small package, ready to serve as your ultimate all-in-one PA, floor monitor, practice amplifier or primary music system. Ready to perform. Whenever and wherever you are. With S1 Pro, You Can! Onboard 3-channel mixer offers independent ToneMatch®, reverb, and EQ controls on two channels, with a dedicated channel for either wired (3.5 mm) or wireless music sources. Power-up and play your Bose® S1 Pro system for up to 6 hours using the includede S1 Battery Pack. This lithium-ion battery installs easily into the dedicated compartment on your S1 Pro for secure and reliable use. Use the Quick Charge feature to recharge your S1 Battery Pack in a hurry. The Bose® S1 Pro control panel provides the necessary connectors, controls and indicators for operation. Sound like a pro. Anywhere. Use Channel 1 and 2 inputs for microphones and musical instruments. Integrated ToneMatch signal processing allows microphones and instruments to sound their best. Use Channel 3 for Bluetooth connectivity and line-level inputs. SIGNAL/CLIP INDICATOR – Displays the input signal status in color. VOLUME CONTROL– Adjust the volume of your microphone, instrument or audio source. TREBLE CONTROL– Adjust the high-frequency balance of your microphone or instrument. BASS CONTROL– Adjust the low-frequency balance of your microphone or instrument. REVERB CONTROL– Adjust the amount of reverb applied to your microphone or instrument. TONEMATCH SWITCH– Move the switch to the guitar icon or microphone icon position to enable the ToneMatch preset. SIGNAL INPUT– Analog input for connecting microphone(XLR) and instrument (TS unbalanced) cables. 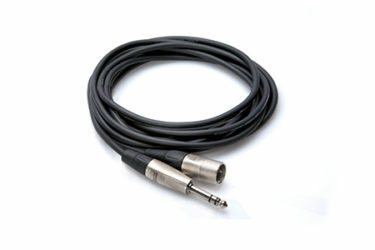 AUX INPUT– Use a 3.5 mm TRS cable to connect a line-level audio source. Note: This input is muted when Bluetooth connectivity is active. LINE OUTPUT– LINE OUTPUT Use a 1/4″ TRS cable to connect the line-level output to the AUX input of a second S1 Pro, to create a mono two-loudspeaker setup. Note: Line Out is post mix. 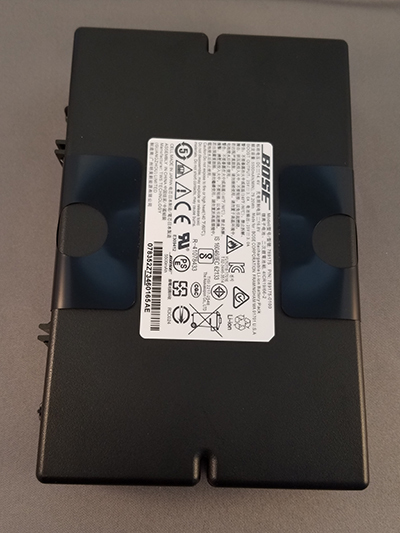 SERVICE PORT– Micro-USB connector for Bose service use only. 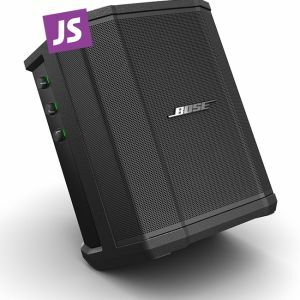 What makes the Bose S1 Pro multi-position PA system different from other PA systems? 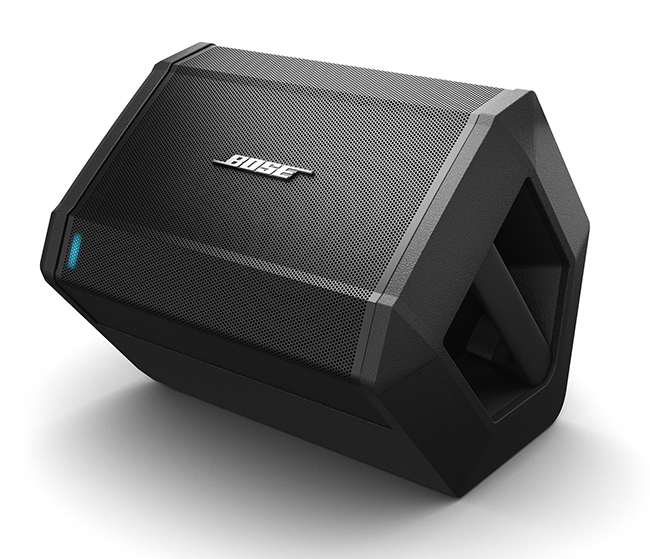 The Bose® S1 Pro PA system is the ultimate all-in-one PA, floor monitor, practice amplifier and primary music system. Multiple positions, supported by Auto EQ, ensure that you always sound your best. And with a 3-channel mixer, reverb, Bluetooth® streaming and ToneMatch® processing onboard, the S1 Pro is ready to be your go-anywhere PA.
How do I set the system up? Choose your system orientation based on the applicati on. Connect audio source. If using a guitar or microphone, set the ToneMatch switch to the appropriate setting. Turn the power on and turn up the volume controls. What is the optimal placement when using the Bose S1 Pro? 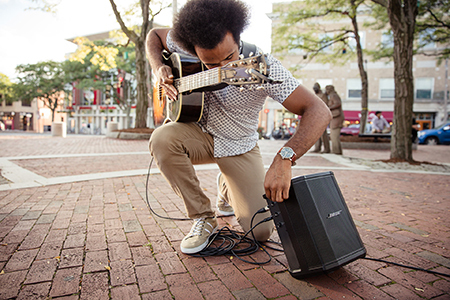 The versatile Bose® S1 Pro PA system operates in four unique modes and can be set up differently based on the application. Elevated Surface – Position the Bose® S1 Pro PA system on a surface. This projects sound clearly and evenly throughout the audience, and ensures that audience members enjoy the full frequency range of the system. Tilt-Back – For performances where your audience is close to you, tilt the S1 Pro onto its back edge. For best results, the performer should stand or sit to one side of the loudspeaker to avoid blocking sound from the audience. Monitor Mode – To use the S1 Pro as a personal floor monitor, place it on the ground horizontally, in front of and pointing toward the performer. Tilt the loudspeaker onto its side edge. Rotate the Bose logo counterclockwise to match your chosen mode. What function does Auto EQ perform? Auto EQ provides optimal performance by sensing the orientation of the S1 Pro multi-position PA system using internal sensors. Once placed in to a new position, the system applies the optimal equalization curve to maximize the quality of sound. Given its smaller size does the S1 Pro system project sound as far as the L1 Compact system? The Bose S1 Pro multi-position PA system produces horizontal coverage that is comparable to that of L1® systems. Longer line arrays, such as those found in these systems, can project sound further with less drop-off of sound levels than the smaller array found in the S1 Pro. Is the S1 Pro multi-position PA system designed for Mobile DJ’s? Yes. The enhanced portability, easy set-up and professional sound quality of the S1 Pro system makes it suitable for a variety of applications as a smaller PA system: DJs, community and athletic events, business presentations, or wherever high-performance and easy-to-use sound amplification is needed. The S1 Pro PA system features best-in-class Bluetooth® streaming with one-button pairing. A 3.5mm input for connecting a DJ mixer, laptop, CD player, or portable aud io device allows for wired operation. When making announcements, simply plug a dynamic handheld microphone into one of the microphone/instrument channels. Two Bose S1 Pro systems are recommended for DJ applications to help reproduce stereo sound. 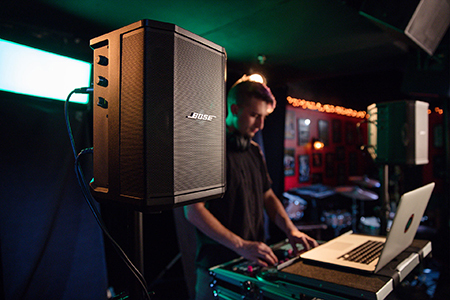 Additionally, a single Bose S1 Pro system can be conveniently used as a satellite system for larger DJ events. What are the benefits of the integrated ToneMatch® processing? 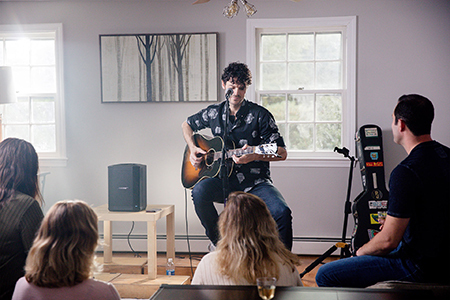 Whether you’re using an acoustic guitar or a handheld dynamic microphone, ToneMatch allows you to match the sound of the source by maximizing the sonic properties through equalization. How many channels does the S1 Pro PA system have? Three. 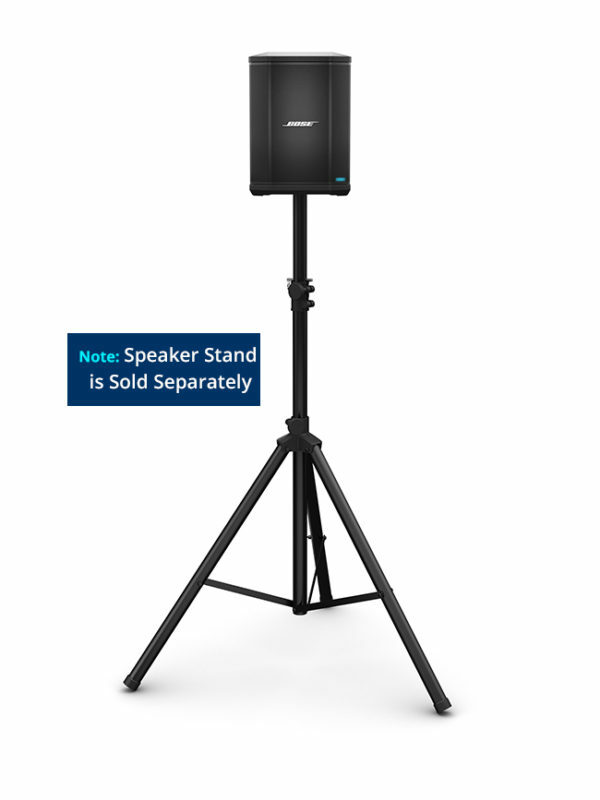 The Bose® S1 Pro Multi-Position PA system has two full-featured channels designed for live speech or musical performance and one channel dedicated to prerecorded material using Bluetooth® streaming or 1/8” (3.5mm) source. 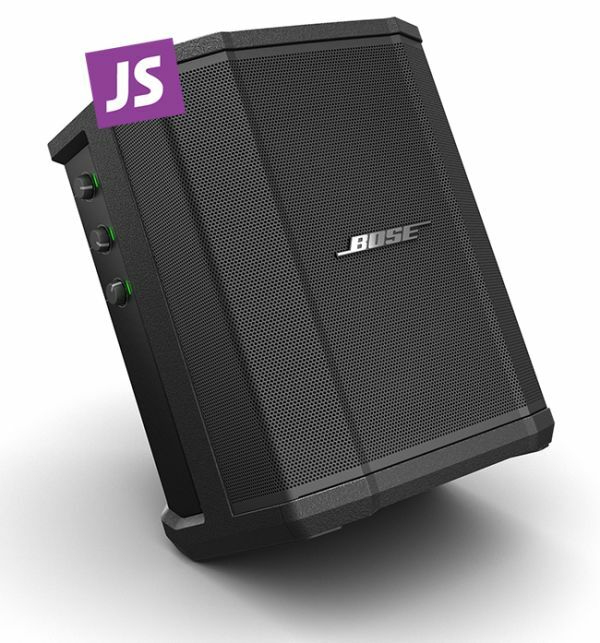 Does the Bose® S1 Pro multi-position PA system have an analog audio output for expansion? Yes. The Bose® S1 Pro multi-position PA system has a balanced line output to send the master mix out to another S1 Pro system or to an audio console. Are the S1 Pro systems compatible with T4S/T8S ToneMatch mixers? Yes. However, please note that the optional ToneMatch power supply is required for operation. For musical performances that require access to our most advanced tone shaping library, a full suite of studio quality effects, dynamics processing, and expanded inputs and outputs, ToneMatch mixers are the recommended choice. To use the T4S/T8S ToneMatch mixer with the S1 Pro multi-position PA system, connect a master output of the ToneMatch mixer to input 1 or 2 on the S1 Pro system. Adjust the master level of the ToneMatch mixer to at least 50% and adjust the S1 Pro input volume knob to the desired level. 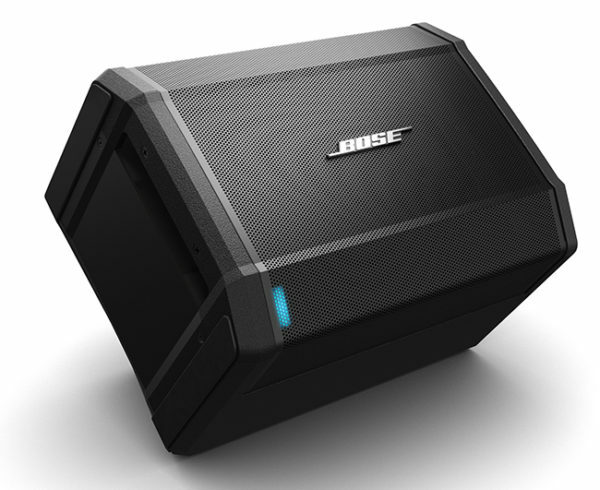 A single Bose® S1 Pro multi-position PA system can combine the two channels and fill the venue with one speaker. For instruments or recorded material where stereo reproduction is essential, two S1 Pro systems can be used to deliver stereo sound. Great care was taken in the design process to ensure that all the speakers and electronics perform as one integrated system. This allows the S1 Pro multi-position PA system to be extremely efficient and maximize its acoustical output while maintaining its small profile. Is the S1 Pro PA system water resistant? 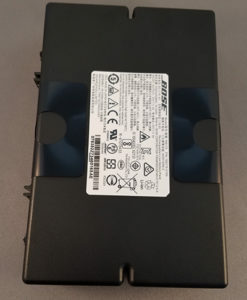 The Bose® S1 Pro system is not water resistant..
Can I connect an external subwoofer, such as the Bose B1 bass module, to the S1 Pro multi-position PA system? No, the system does not support adding bass modules. However, the S1 Pro does provide a reasonable amount of bass from its integrated high-excursion woofer. Where should the S1 Pro multi-position PA system be positioned on stage? System placement requirements for the S1 Pro multi-position PA system are flexible. For optimal sound for both the audience and performer, position the system directly behind – or behind and slightly off to one side of – the performer. Does the S1 Pro have a universal power supply, so it can be used with any wall outlet? Yes. The S1 Pro has a universal power supply that allows it to operate in regions ranging from 100V – 240V. 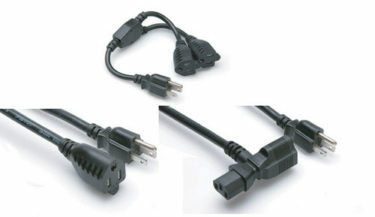 The proper power cord for the specific region in which the system was purchased is included in the product carton. 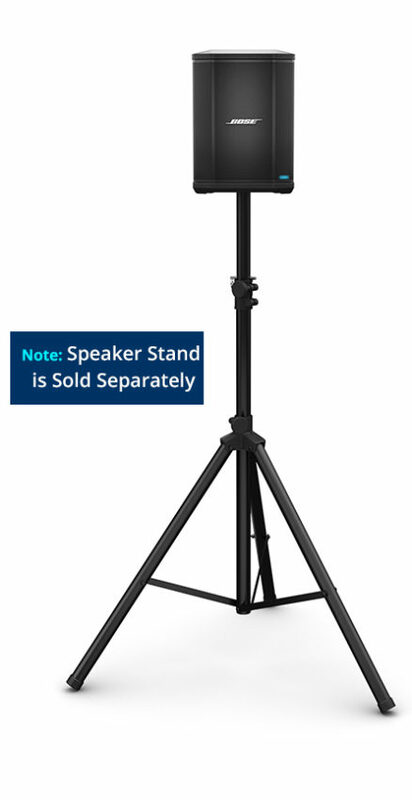 What is the warranty period on the S1 Pro multi-position PA system? The Bose S1 Pro multi-position PA system has a two-year limited warranty. Can the S1 Pro multi-position PA system be used together with an L1® system? Yes. All Bose systems can share the same stage. The L1 Compact and L1 Model II systems have longer line arrays than the S1 Pro and can project sound further with less drop-off of sound levels than the smaller array found on the S1 Pro. Where can I learn more about the S1 Pro multi-position PA system or Bose L1 portable line array systems and obtain tips on maximizing the benefits of my system? To interact with other S1 Pro system users and members of the product team, obtain more in depth product support, or share your experiences, please visit Bose Community page. 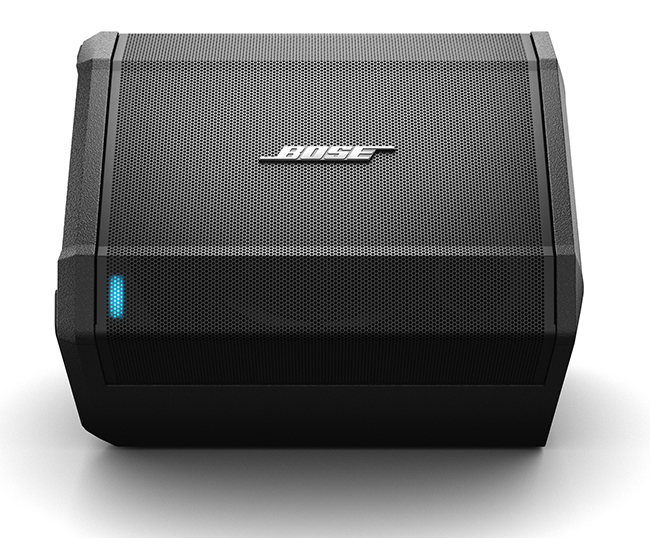 Jireh Supplies is proud to be your Authorized Bose Dealer. Jireh Music and More retail store located in downtown Lawrenceville, Georgia (Across from Aurora Theater in Gwinnett County) is your complete source for Bose F1 Model 812 Flexible Array loudspeakers.